Being Nature by Studio Bijan H envisions a nearsighted biotechnological future, which proposes the wielding of specific plants for the growth and re-articulation of architectural elements. The vivarium apartment dwelling seen above is located squarely in midst of Williamsburg, Brooklyn. 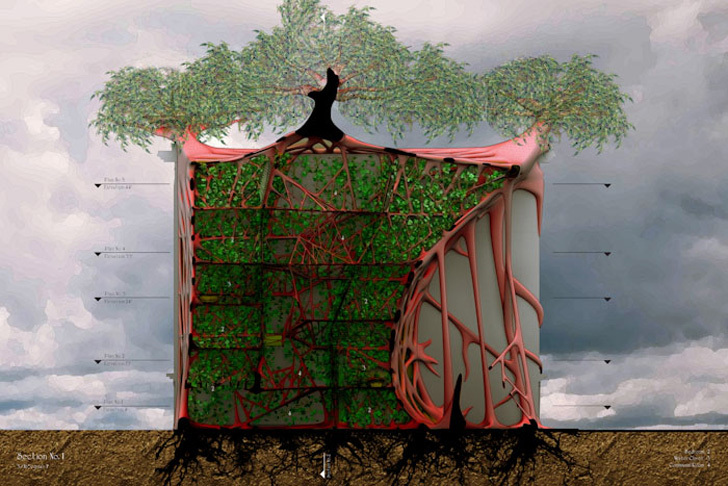 The proposed design features architecture that is not built, but grown using botanical hybridization techniques. The concept explores the how plants and nature can give way to a cohesive, working, and healthy and sustainable structure.